I will be giving an artist talk and painting demo at Gallerie Chiz on Saturday, Jan 30 from 2-4 pm. A cocktail hour will follow at 4. This event is free and open to everyone so please stop by and join in the fun. RSVP to galleriechiz@gmail.com. 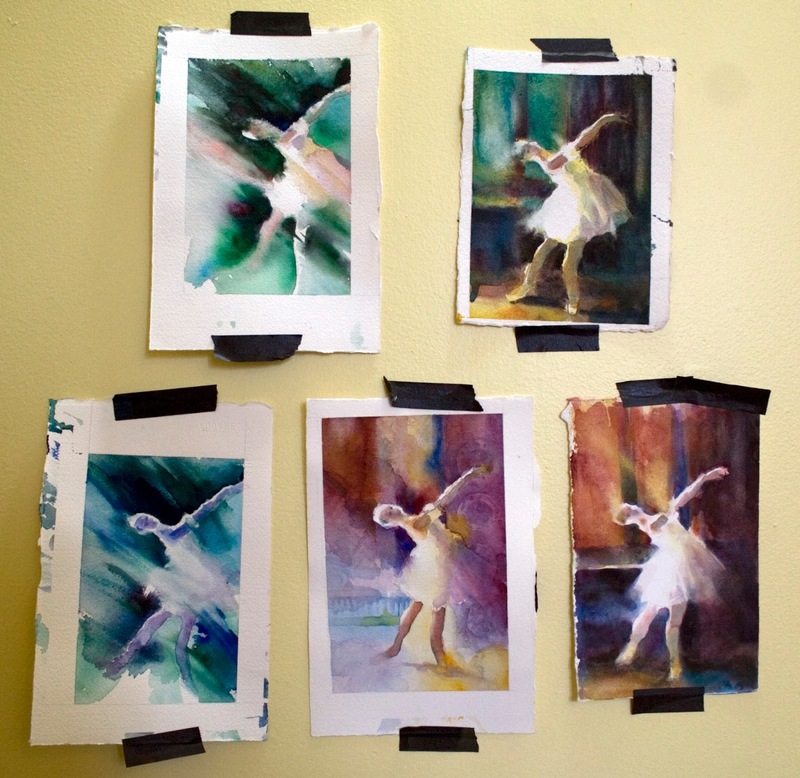 Here are a few color studies for a new painting that I may be working on at the demo.What do you think? Which one should I use for my larger painting?